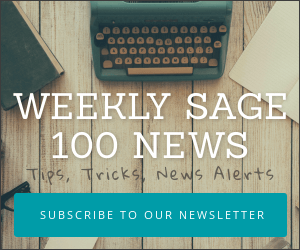 I just noticed something interesting – and very helpful to both Sage users and consultants. 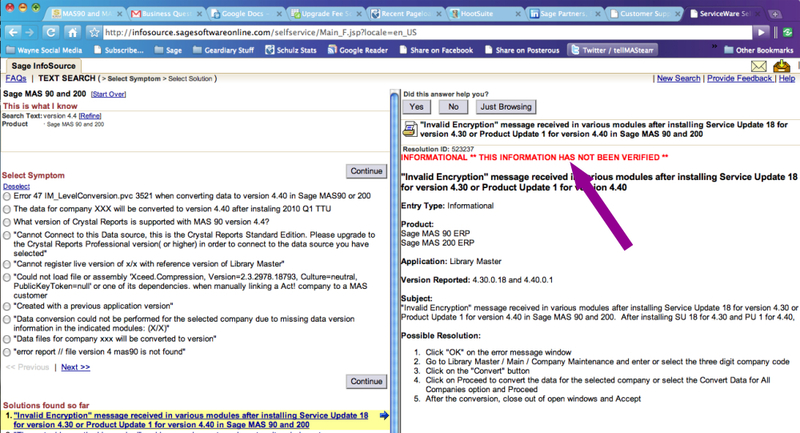 It appears that Sage has finally started to display knowledgebase information that they have yet to fully verify as a problem. I sent Sage a note inquiring about this matter but have not received any response (not at all an unusual thing). On the surface you may think that publishing unverified problem reports is bad – but it’s not. At least not when used by tec savvy customers and consultants who understand the meaning of the word “unverified”. Previously Sage had only published reports of errors and bugs after they’d been able to reproduce them in their engineering department. This potentially caused lag times between when an issue was reported and when it was visible in the knowledgebase to stretch out as long as a few weeks. In the meantime if several customers all reported the same issue – the problem would not yet appear in the knowledgebase for all to share. Now it appears that Sage has finally opened up their KB so that unverified problem reports will appear – though with a red “INFORMATIONAL ** THIS INFORMATION HAS NOT BEEN VERIFIED **”. Many in the Sage community have asked Sage for this feature for years. Being able to access early reports of potential problems is a great tool for helping skilled customers and their support representatives diagnose issues as they occur — and in a much more timely fashion. Here’s hoping that unverified solutions continue to appear in our knowledgebase searches.